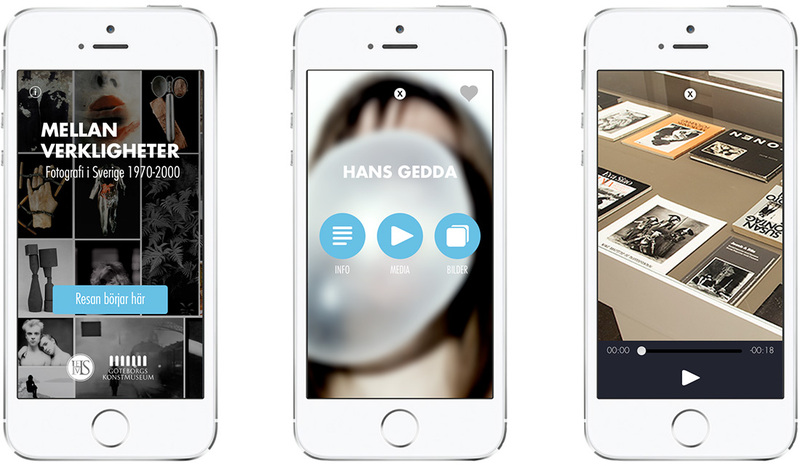 In February 2013, we created Northern Europe’s first iBeacon-powered museum app. By using iBeacons, we enhanced the ”Between realities” exhibition at Hasselblad Center Museum of Photography and Gothenburg Museum of Arts, creating a rich and immersive experience for the visitors. The app worked as such: visitors at the exhibit downloaded the app to their smartphones and walked around the premises. At a selected number of locations, the app gave them the opportunity to listen or read about the current piece they were standing at, all by transmitting signals to the visitors smartphones. And by using what the visitors already had with them, and knew how to use, they could be more engaged in the exhibition, and the work that was on display.